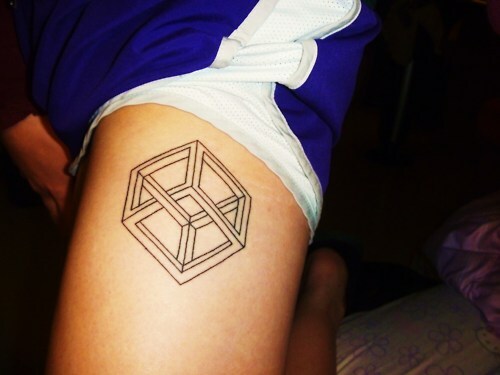 The greatest illusion is thinking that he is not going to get bored with this tattoo after a couple of days. Does this have anything to do with Inception? More like Roger Penrose. More like M. C. Escher. How is this inception? It’s not Escher, by the way. It’s some Swiss guy.